Cavaliers vs. Warriors - 2017 NBA Finals Philippine TV schedule, results, scores and highlights - Balita Boss! The Golden State Warriors will face the Cleveland Cavaliers in a best-of-7 series for 2017 NBA Finals. 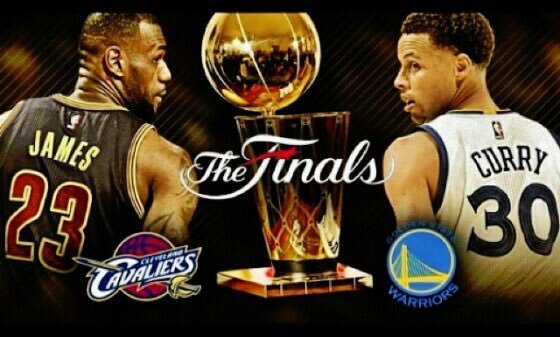 This year's Finals between Warriors and Cavaliers will be the first trilogy in NBA history. In 2015, the Warriors defeated the Cavs 105-97 in Game 6 to win the Finals 4-2 for their first title in 40 years. The Cavaliers won the 2016 Finals, defeating the Warriors 93-89 in Game 7. They comeback from 1-3 down to give the Cleveland its first major sports championship since 1964. Will the Cavaliers repeat or will the Warriors win their second NBA title in three seasons? Check the schedule below.